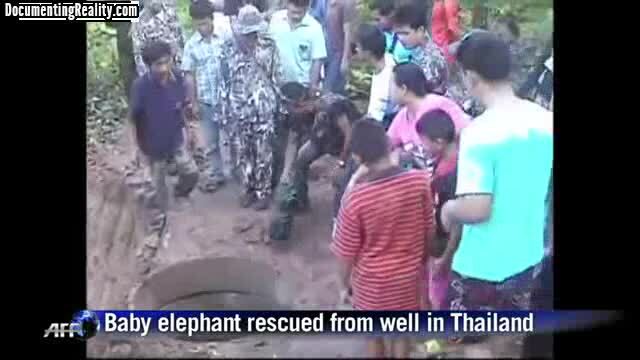 A baby elephant luckily escaped any injures after falling down a well in Thailand. The rescue team that arrived at the scene dug out the well, and the animal was able to make its way out. The elephant was not hurt in the rescue operation.